Sponsoring The Frugal Fashionable Farmer is a wonderful way to gain exposure, new readers, and self-promotion for your shop or business! The Frugal Fashionable Farmer focuses on portraying a positive, creative lifestyle of being a thrifty fashionable gal through photography, farming projects revolving around sustainability, 'on-the-road' adventures, growing AND cooking sustainable foods, and vintage/ thrifted fashion related posts. The Frugal Fashionable Farmer gets an average of 6,500 views a month with a record high amount of views during the month of March 2016 at just under 11,000. 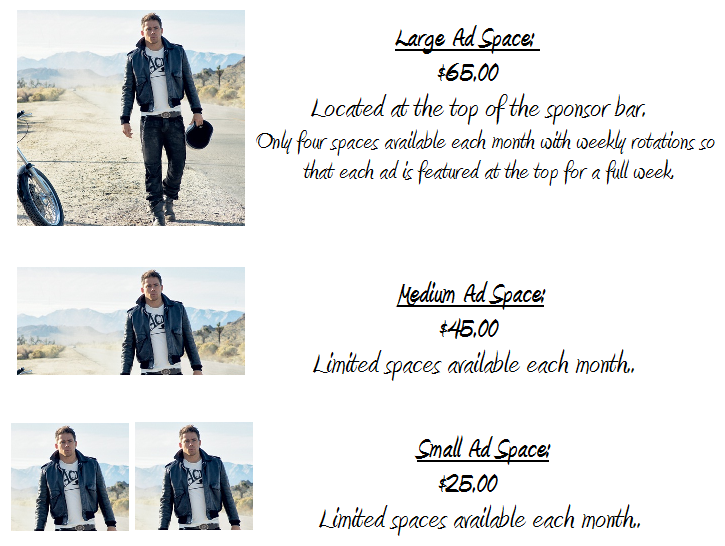 Sponsorship runs the following month of your purchased ad space from the first day of the month to the last day of the month. Each ad same sized ad will be rotated (top to bottom, bottom to top, etc.) so that every sponsor is given an equal amount of prioritized exposure!